Here are a few Node JS Interview Questions for you! 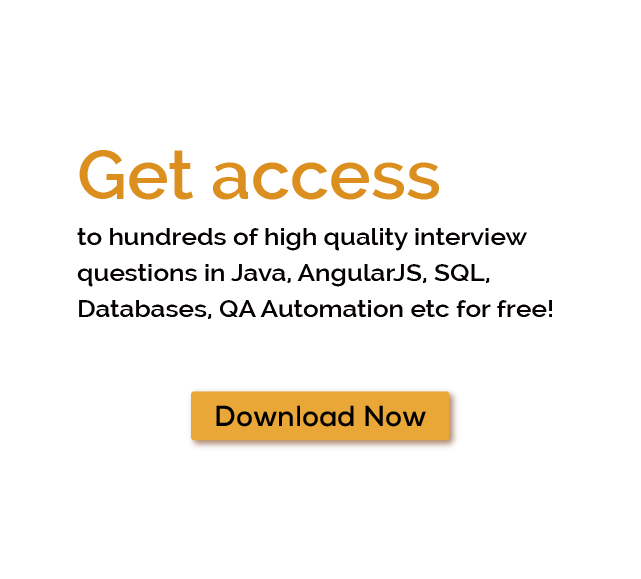 Download more High Quality Node JS Interview Questions! We all know Node JS for its quick response and non-blocking features. Non-blocking means a request doesn’t wait for another request to finish a task. In fact, a Java Application Server that is mostly used, comes up with blocking features. In this article, we will discuss some old and new aspects of Node JS. Node JS is a kind of framework that enables the fast development of an application. Nowadays developers are capable to create a highly-scalable server without using threading. They use a simplified model of an event-drive programming that use callbacks when a task is completed in an application. There are several node version and node latest version is 10.10.0, node js download link are available on nodejs.org. Node JS comes with non-blocking input output features and we already mention this on top of this blog, but what is exactly this features means, now we discuss in detail. In the blocking method, until the first user data is not printed on the screen, second user request is not initiated. In blocking features we would have to start a new thread for every new user that’s why some framework is not suited for multithreading task. On another side in non-blocking features, you can initiate both users’ data parallel. In these features, no need to wait for the first user response, also you can set up the second user request. So if we talk about single threading system, the second request is not completed until first is not completed. Multi-threading system solves this problem to allow multi-threading system. In simple word, if you give 10 task to a CPU, CPU scheduler split this task and gives equal time to all, now CPU can switch between all the tasks and execute it so that task will be completed in a fast way. Switching between the two tasks is very fast. At a present time many frameworks running around, but in case we talk about Node JS, which is the most responsive and fast language which is the current need of modern customers, this fact made this so usable among all other languages. Over the time most of the application based on request-response framework which supports input output blocking that ensures a developer about request and response execution in secured way but at the same time, its execution will be longer. Means until one request is not completed another will not in use and Node JS break this mentality. This framework contain a whole world of possibilities. It breaks the blocking features and maintains two-way communication between client and server in a real-time network using socket. Socket.io is the most commonly used library of node.js for real time chat applications. Node JS comes with some ultimate features henceforth developers can easily use Node JS in large applications as well. Here we talk about some key features of Node JS that made it more usable than other frameworks, which are as follows. Speed: - Node JS provide high-speed in the application. Scalability: - You can build a highly scalable application with the use of Node-JS. License: - It is released under the MIT license. Real-Time Application: - Node JS is widely used in real-time application. Data streaming / buffering: - Ideal choice for the live streaming application. A Node JS application never buffers any data. Non-Blocking I/O: - Complete two request in parallel. Hosting: - There is a wide range of hosting servers available that provide services for Node JS applications. Open Source: - Node JS is open-source that means free to use and because of this it give some attractive packages which are provided by the npm community. SPA: - With the use of Node JS you can easily build a single page application. Event mechanism: - The event mechanism help a server to respond in the non-blocking way that provides high scalability. Now it’s time to know about the various application where we can use Node JS. Its non-blocking features made it popular for real-time application. Node JS is mostly used in the application which gives streaming features. Advertisement: - An advertisement server gets thousands of request at a time and Node JS is the excellent choice to handle such situation. Games: - Node JS is highly scalable and fast whenever a game server wants high performance and speed. Chat application: - Again non-blocking features made Node JS an ideal choice for chat app, where live streaming is necessary. Some of the many NodeJs Interview Questions listed below will help you get an idea about what questions gets asked in such jobs related to Software Engineering & Tech. Get through the NodeJs Interview bar with our selected NodeJs Interview Questions for all NodeJs enthusiasts! For thousands of similar Node JS Interview Questions login to our Website or download EduThrill. Experience the thrill of challenging people around the world on Node JS Interview Questions!